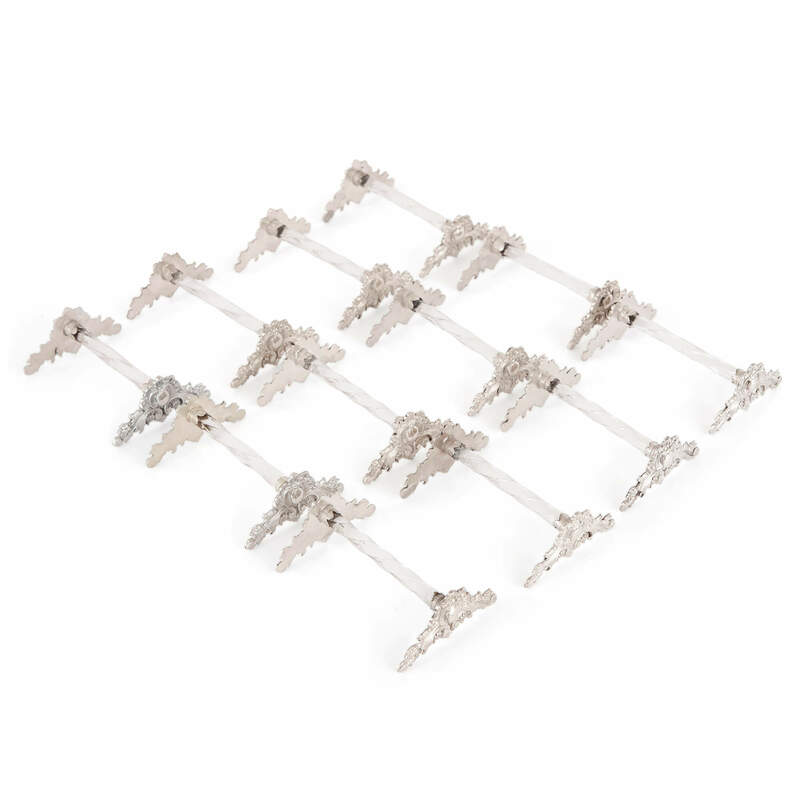 This set of twelve silver and crystal knife rests, or ‘porte-couteaux’, recall a time when fine dining held great significance for the elite of France. 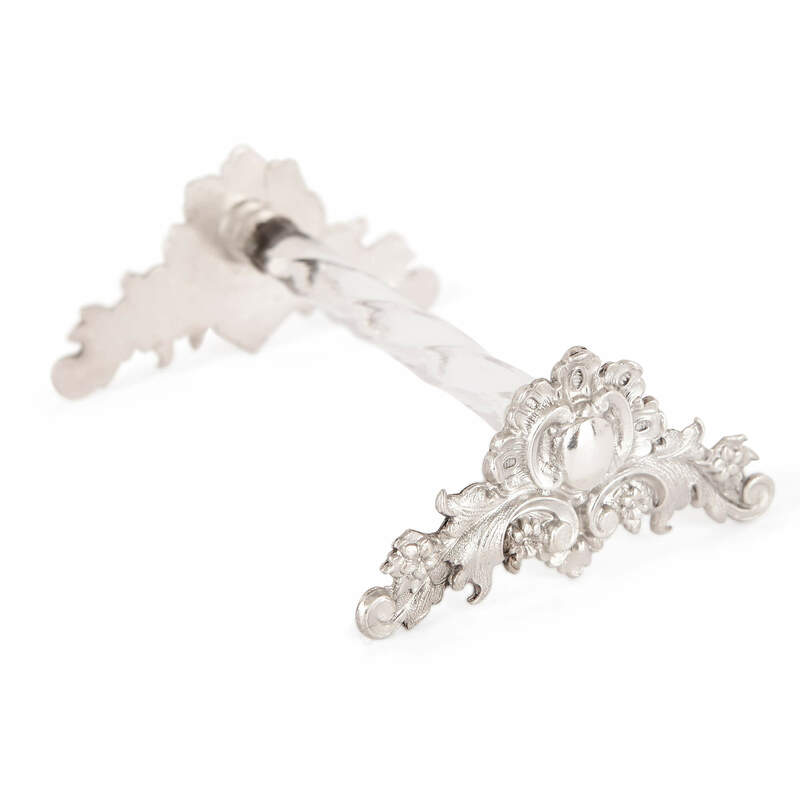 Crafted in the 19th Century in France, these twelve knife rests feature crystal cut stems, mounted on either end with silver scrolling foliate forms. 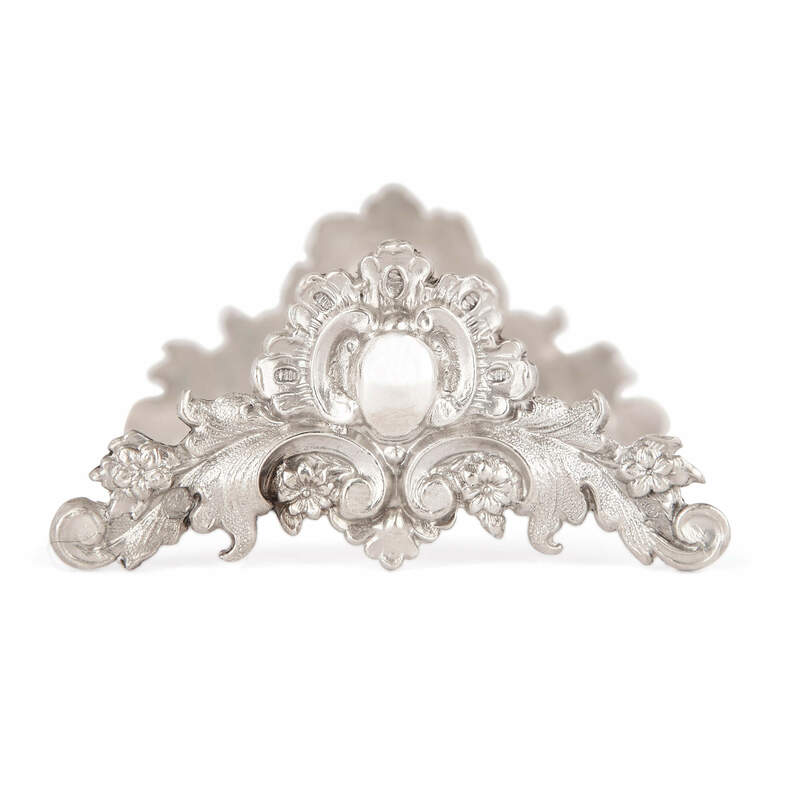 While they were in use before this point, it was in the 19th Century that knife rests really took off as a fashionable and desirable items of tableware. They were popular in elite homes, where they were used to hold the end of the knife off the table between the courses of grand dinners. This would ensure that the tablecloth was not marked by the food-stained knife. 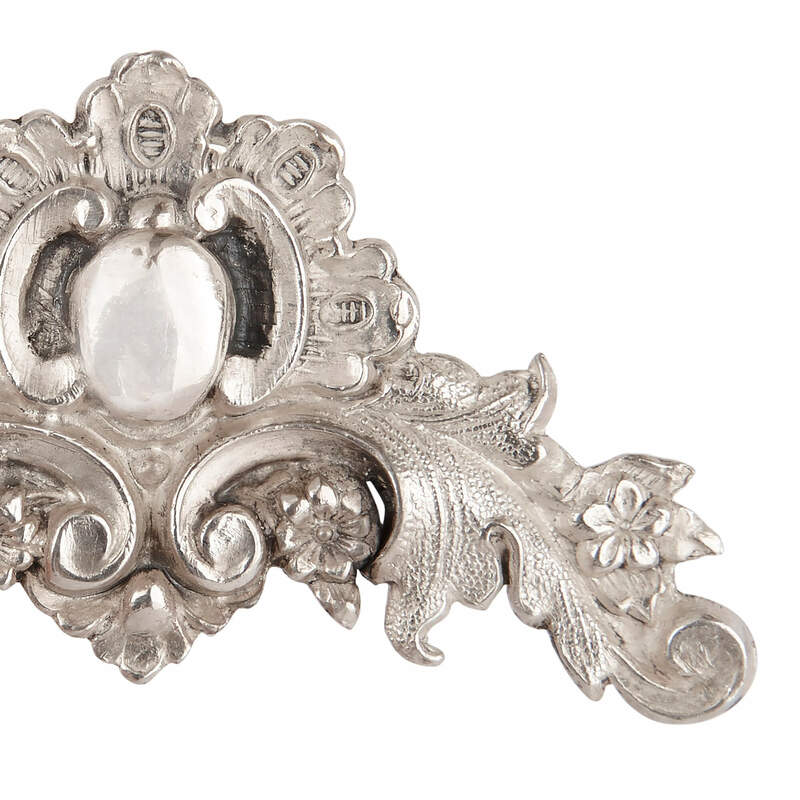 In 19th Century France, knife rests were crafted in a variety of forms from precious materials, such as gold, silver, ivory and mother of pearl. 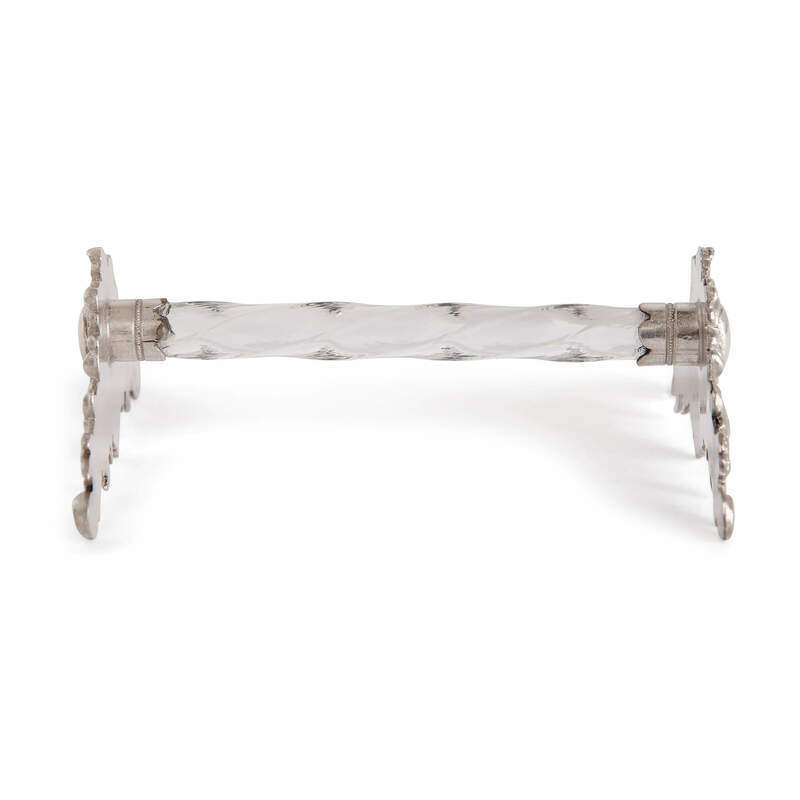 The stem of each knife rest is formed of crystal, cut into an elegant twisting form. Each end has been crafted from silver into a triangular shape. The ends feature unfurling foliate forms, which are decorated with flowers. At the centre of each motif, there is a medallion, which is flanked by scrolling brackets and leaves. The use of crystal and silver - aside from underlying the quality and luxury of the set - will catch and reflect the light produced by the candles in a dining room, adding sparkle and glamour to a special occasion.